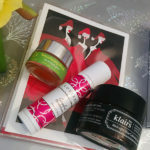 Joanna Vargas Bright Eye Firming Mask – The holidays and traveling can get tiring and that’s why Joanna Vargas Bright Eye Hydrating Mask (packed with anti-aging peptides that reinforce elasticity and prevent aging) makes a great stocking stuffer. 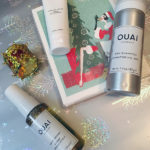 Ouai Luxe Minis – Visiting the family for the holidays? 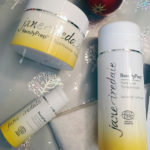 Have a jetsetting friend? The Ouai luxe minis are TSA-approved sizes of their cult-classic products. 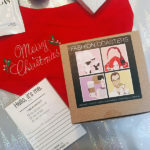 Eighty Seventh St Holiday Cards + Coasters – We all know what an obsessed fan of Eighty Seventh St I am, so it’s no surprise I had to include her handmade holiday cards and coasters (one even features Choupette) in my stocking stuffer gift guide. Call me bias but I also think the coasters make a great hostess gift! Credo Clean Beauty Discovery Kit – Super good things come in small packages. Experience the world’s best beauty products – from skincare, to haircare & deodorant in Credo’s mini kit featuring 7 travel size products that will kick start your move to clean and beautiful. 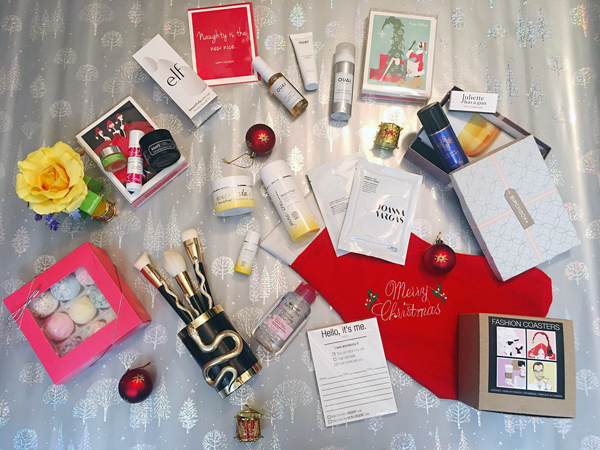 Birchbox – A Birchbox fits perfectly in a stocking! They have gift subscriptions for both men and women – both come stocked with 5 prestige beauty and grooming deluxe samples. Whether you give the gift of a 3-, 6-, or 12-month gift subscription, Birchbox makes a great (and easy) gift for anyone on your list. e.l.f Precision Sponge Trio – Makeup sponges are no long one size fits all. e.l.f now offers three sizes to enable precise application for all areas of the face and can be used with cream, liquid, and powder makeup. 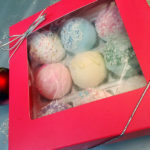 Fizz & Bubble Fizzy Truffles – I love baths and these fizzy truffles contain shea butter for a moisturizing experience like no other. Garnier Micellar Cleansing Water + Makeup Remover – No rinsing necessary with Garnier SKINACTIVE Micellar Cleansing Water All-in-1 Makeup Remover & Cleanser. The perfect size for not only your travels but also your purse for a quick clean-up! 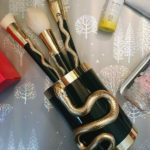 Sonia Kashuk Serpent 10-Piece Brush Set (10 Brushes) – The Sonia Kashuk Limited Edition Sonia’s Serpent 10-Piece Brush Set incorporates slithering snakes to transform chic black handles into the statement brushes of the season. With plush bristles and durable construction the set of 10 brushes are not your typical “hide under the sink” set. BloemBox Satchet – My lingerie drawer is never complete without a satchet. 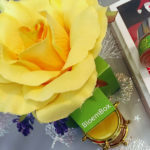 BloemBoxes release burst of fragrance and are available in a variety of scents depending on your personal preference.